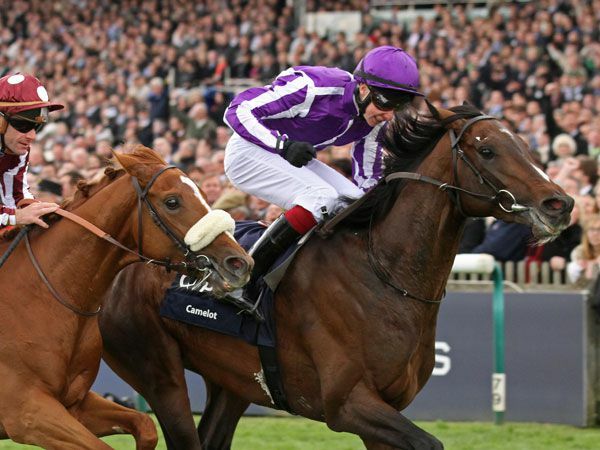 CAMELOT, purchased for 525,000 guineas at Book 1 of the 2010 Tattersalls October Yearling Sale, maintained his unbeaten status with a hugely impressive victory in the QIPCO 2,000 Guineas at Newmarket. Ante - post favourite for both the QIPCO 2,000 Guineas and Investec Derby ever since his win in the Group 1 Racing Post Trophy last October, the imposing son of MONTJEU gave trainer Aidan O'Brien his sixth winner of the 2,000 Guineas and the first British Classic win for his jockey son Joseph. The 19 year old jockey confirmed himself as a supreme talent with a perfectly timed run to deny the Nicolas Clement trained FRENCH FIFTEEN, and will now be looking forward to the Investec Derby for which CAMELOT is as low as 4-5 favourite. By the sadly deceased MONTJEU out of the Group 3 winning KINGMAMBO mare TARFAH, CAMELOT was bred by Bahraini Sheikh Abdulla Bin Isa Al Khalifa and consigned to Book 1 of the Tattersalls October Yearling Sale from Highclere Stud. 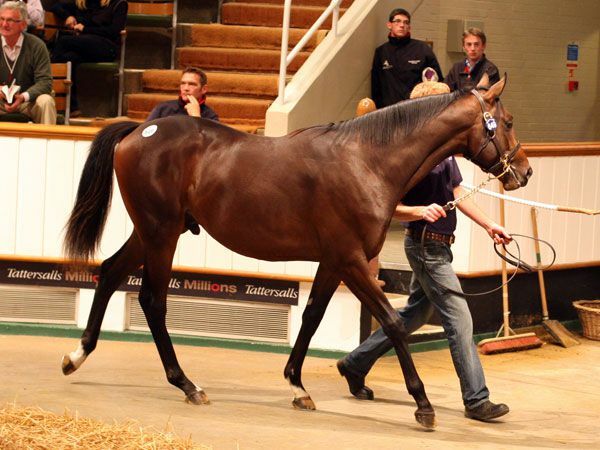 Knocked down to Demi O'Byrne on behalf of owners Derrick Smith, Mrs John Magnier and Michael Tabor, CAMELOT was the highest priced yearling by MONTJEU in 2010 and the the joint second highest priced colt sold at the 2010 Book 1 sale.